As you know, we do a wide variety of fishing. 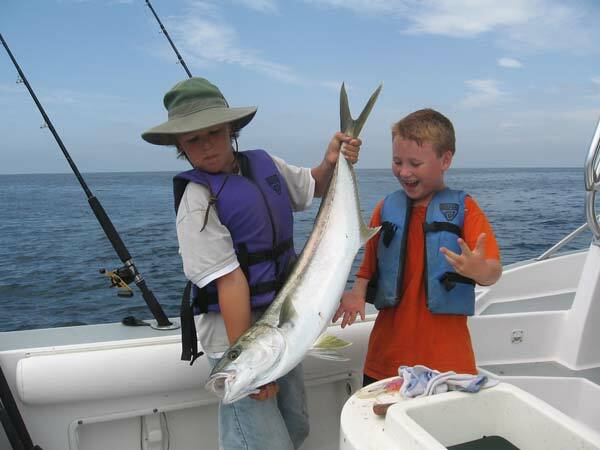 We love to get to know other friendly fisherfolk and share boat trips in the San Diego area. If you have a nice boat, we'll gladly either pay more than our share of expenses and/or make a movie or take photos for you. Believe us, we know how expensive it is to own a boat, and shareing the work and expense makes a lot of sense. Eli holding the Yellowtail Gavin just caught. Eli is getting real good at gaffing, and Gavin is getting there, but we like to keep Gavin in the boat!